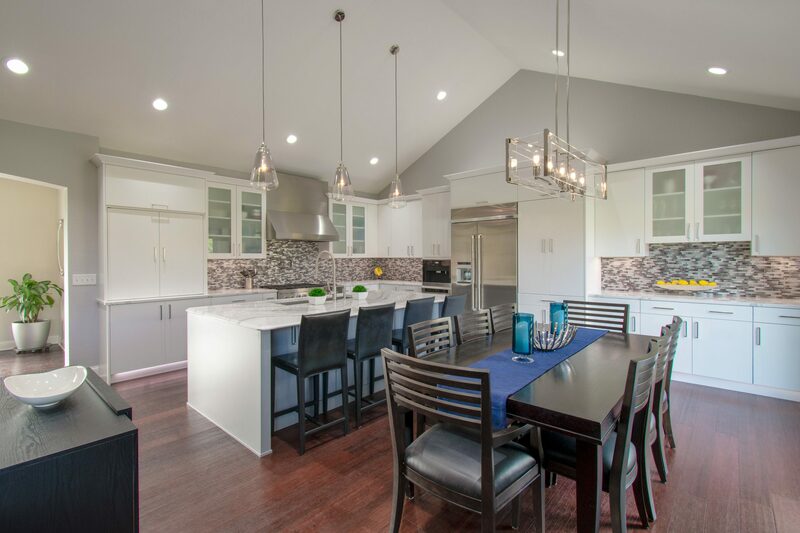 A Nashotah family in Lake Country wanted to turn their dated kitchen into an upscale space for daily living and entertaining. 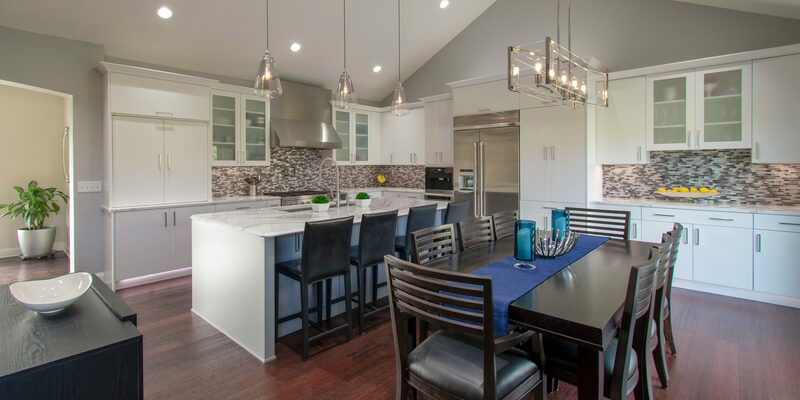 Kowalske Kitchen & Bath designed a space that is open, inviting and flows well with the rest of the home. 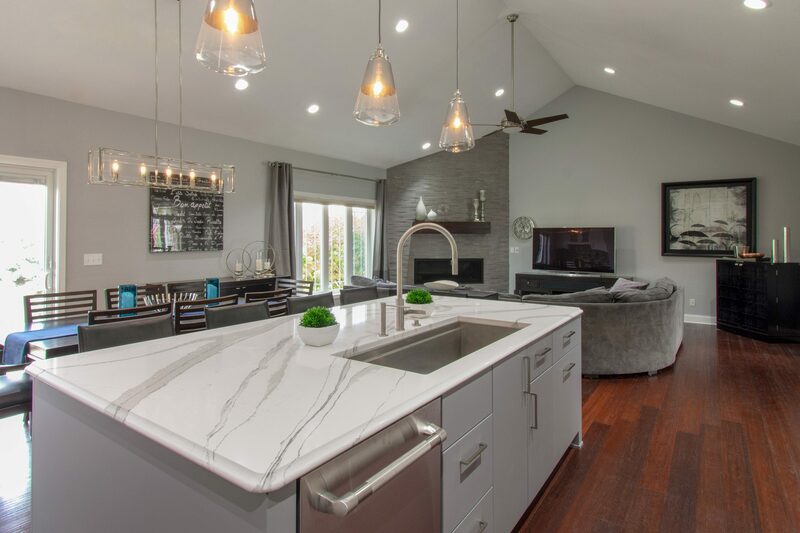 The original kitchen had three main flaws – an awkward configuration, it didn’t match their contemporary style, and it was closed off to the living room. 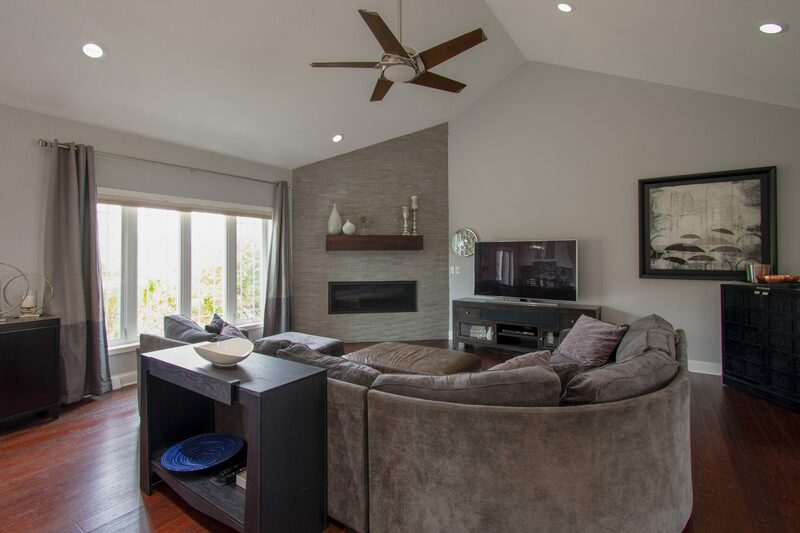 We removed a wall separating the kitchen from the living room, creating an open space for the kitchen, dining and living room. 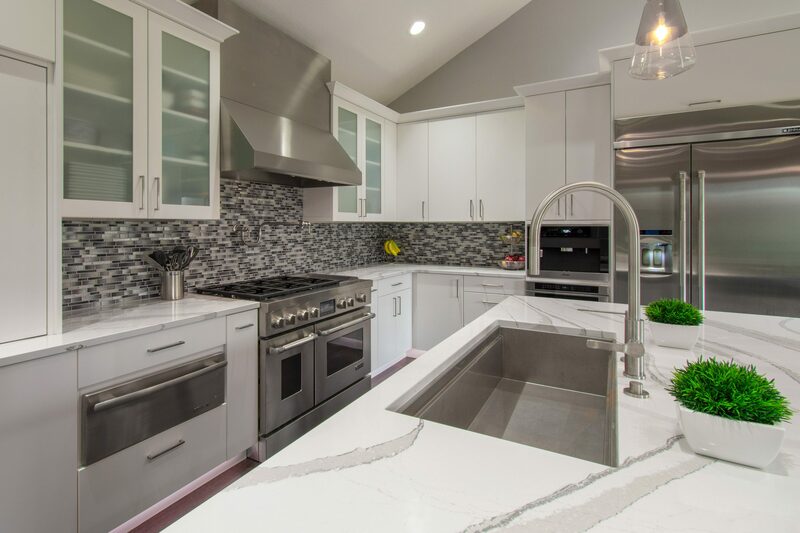 The large island gives the family casual seating and features beautiful white Cambria Brittanicca quartz counters with grey veining. 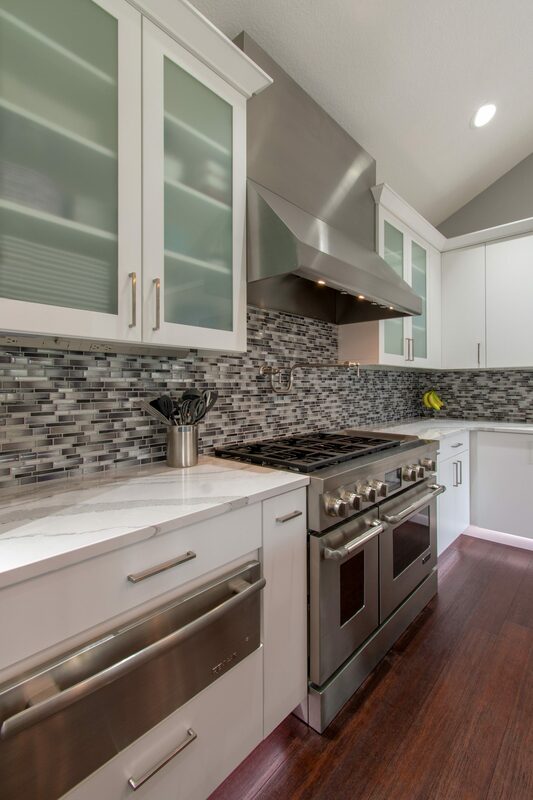 The counters pair well with the luxurious glass mosaic backsplash. For more storage and counter space, we added additional cabinets along the back wall. 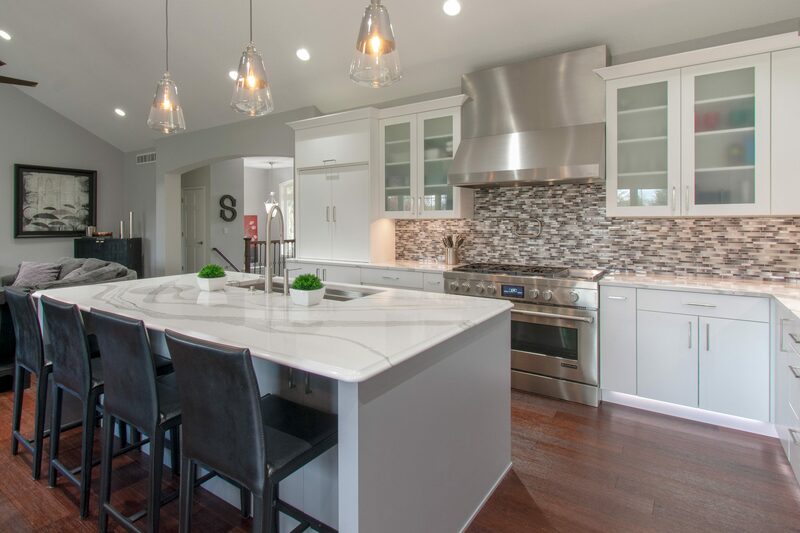 This kitchen has some amazing high-end features: a Kohler pot-filler faucet over the stove, a built-in Miele coffee machine, Jenn-Air appliances, and a Galley faucet and sink workstation. New lighting makes this space shine. 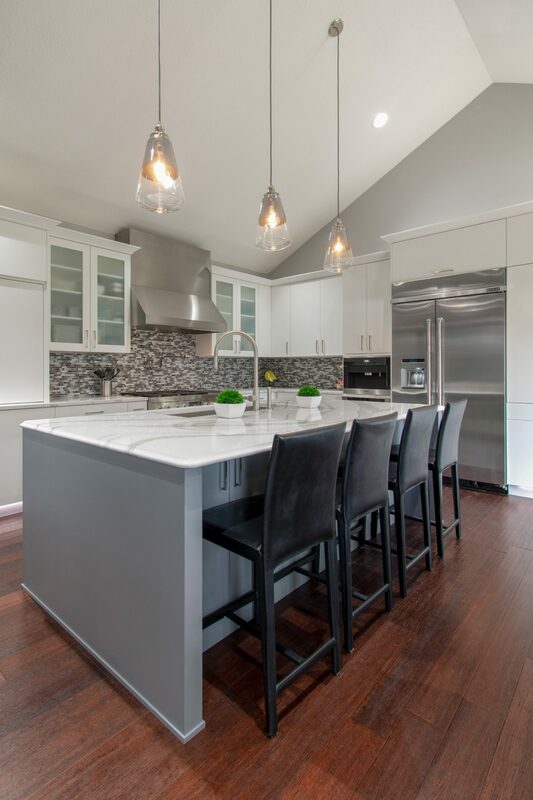 The space is lit with recessed cans, a beautiful George Kovacs chandelier, elegant Feiss pendants, under cabinet lighting and toe kick lighting. The fireplace was updated with an unpolished mosaic porcelain tile and wood mantel. 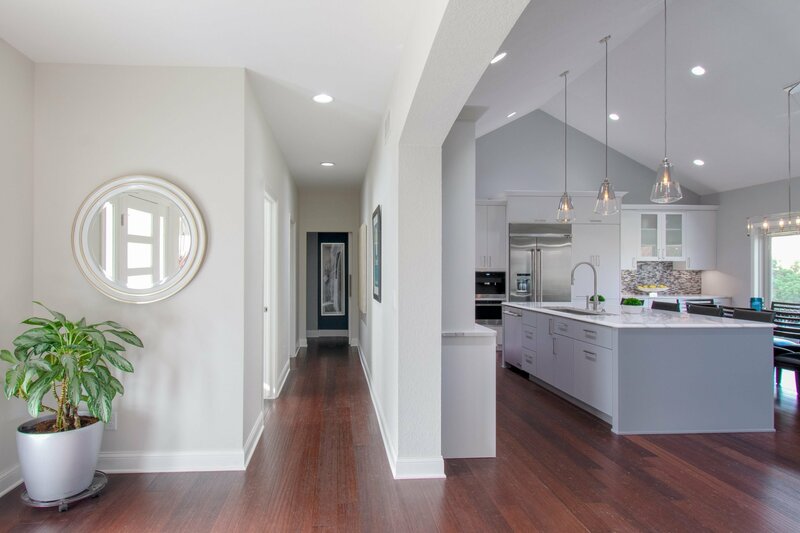 The bamboo wood floors throughout the first floor add warmth and ties the whole space together.